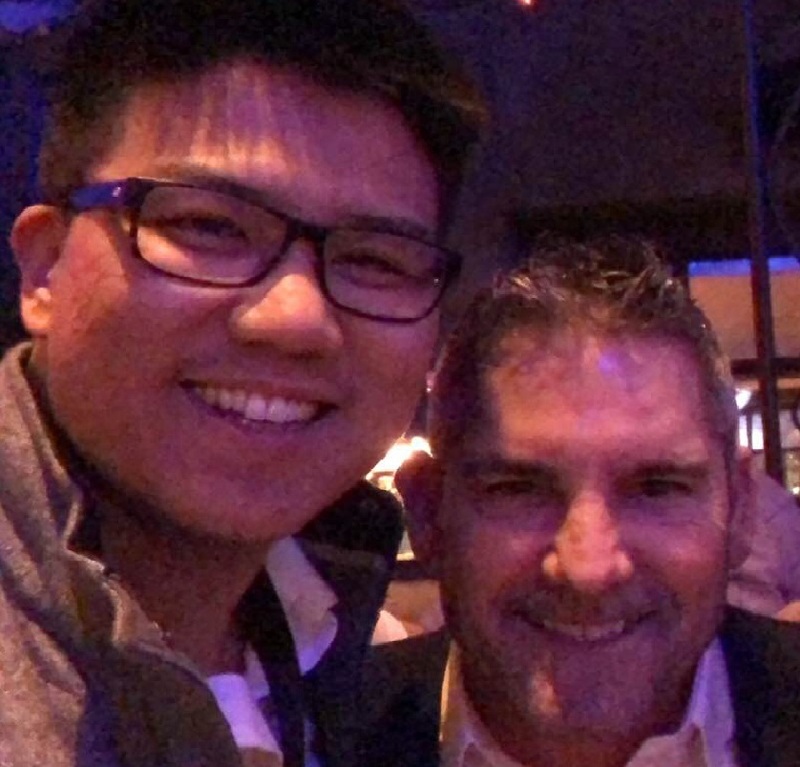 While most people seek out mentors who will offer free guidance, others like self-made millionaire Timothy Kim go the extra mile by paying to meet highly influential people. Starting in October, the 31-year-old paid $70,000 for mentorship over the course of six months — an expense that he says was worth every penny. "You can't succeed in life without having great coaches," he tells CNBC Make It. Kim began investing in the stock market at age 19. After years of successful investments, he became a millionaire in 2017. He now runs a personal finance blog called TubofCash.com where he hosts cash giveaways and was featured by Business Insider in November. Kim first paid for mentorship in early October by spending $5,000 for a Millionaire Mentor program hosted by Instagram influencer and self-made millionaire Jason Stone. In mid-October, he shelled out an additional $15,000 to hear from real estate mogul and investor Grant Cardone at a 10X Growth Conference. In January, he spent $2,500 to meet with marketer, investor and internet sensation Tai Lopez. These are just a few of the 15 payments CNBC Make It verified from Oct. 7, 2017, to Feb. 22 of this year. Kim also met with "Shark Tank" star Daymond John and tech billionaire Naveen Jain in an exclusive VIP room after attending a recent business conference. The millionaire says that he's received critical business lessons from these mentorship sessions. From Cardone, he learned that most people add too much time between an initial idea and its execution. "So it's critical to stop adding unnecessary time in the middle," says Kim. "You need to go as fast as possible from idea to idea with immediate turnaround on execution." From Lopez, he learned the importance of understanding human behavior. "The more you understand human psychology and inherent cognitive biases, the more money you'll make," says Kim. "He's big on Maslow's hierarchy of needs and intertwining those inherent needs to his marketing." Timothy Kim millionaire investor Tai Lopez. From Jain, he learned the importance of humility. "Stubbornness and pride are what keeps most people back since it doesn't allow for self-improvement and self-awareness," explains Kim. And from John, he was reminded about the importance of hustling and having a strong work ethic. These mentorship sessions range from one-on-one coaching, to conferences, to exclusive networking events, to small roundtable brainstorms held in multimillion-dollar homes. Most importantly, says Kim, this mentorship helps expedite his learning process. Kim explains that his mentors have helped him grow exponentially because they hold him accountable, walk him through new strategies on growing his business, reveal mistakes they made early on so that he can avoid them and introduce him to other highly successful people. While Kim acknowledges that there are "great free mentors out there," he says he opted for paid mentorship because it's much more results-driven. "It's a client-business relationship," explains Kim. "Incentives are aligned for both parties since it's more monetarily driven. There's also a higher expectation on the client's end for tangible outcomes and an actionable [step] by step process." Free mentorship, on the other hand, is a "crapshoot," says Kim, "since it can run the gamut of how effective the mentorship ends up being." He compares paying for mentorship to hiring a highly regarded basketball coach for an NBA team. Kim explains that an NBA coach is a world-class coach who can deliver results by bringing home trophies and championship rings for a team. "You can't get a world-class coach for free," he says. "The world just isn't incentivized that way." Along those same lines, a great coach could donate their time to a junior varsity team, he says, but they won't put in much effort because the stakes simply aren't high enough. The millionaire adds that when you pay for advice, the recipient is generally much more forthcoming about how they achieved success. He points to an investor like Cardone, who has a multimillion-dollar real estate portfolio. "That's someone who's already made it and is successful," says Kim. "So why wouldn't I want to pay him to learn what he knows?" To show just how much of an advocate he is for mentorship, Kim says that he spends more money on mentorship in a year than he does on his Tesla X car payments, which CNBC Make It confirmed that he owns, and mortgage combined. In fact, he most likely would not be a millionaire today if it weren't for the advice he received from a former professor while studying as an undergraduate at Biola University. Kim recalls a business professor casually stating that he lost $60,000 within a matter of hours after a stock tanked. Although this was bad news for the professor, he encouraged a then 19-year-old Kim and other classmates to "go in on the market." "[He said], 'This is a once-in-a-year, once-in-a-lifetime opportunity,'" says Kim. "'Nothing like this is going to happen in another 100 years. Just trust me and go all in right now.'" So Kim, who at the time was earning minimum wage as a personal trainer and campus employee, invested about $1,000 into the stock market. After seeing a return on his investment, he got hooked. "Every time I had extra money, I kept throwing it in there," he says. Once Kim's earnings hit the $3,000 mark, he put his money in a Vanguard account. "And then once I got to $10,000 in my Vanguard funds, I converted to admiral shares, which has the lowest fees," says Kim. "And then it really took off from there." After graduating from college, he received a job at a local warehouse, where he quickly moved up in rank from midlevel management to vice president. With each new promotion came higher wages, which he invested in the stock market. Last year, Kim officially became a millionaire and is now worth about $1.32 million. But even with all this success, Kim says he wanted more so he looked into receiving mentorship. "The reason why I keep paying [for mentors] is because that's how I feel like I can keep learning and growing," he says. "It's about having a growth mindset." For Kim, mentorship is an investment that will help him get to the next level of financial success, rather than an expense. He points to the millionaires and billionaires who now form a small part of his business circle. "Usually normal people like me can't gain access to them," he says. But if you're willing to spend money to receive counseling from highly influential people, they know that you're serious about your business. As a result, they are also more willing to connect you to other notable people and give you access to their "sphere of influence," says Kim. Kim with tech entrepreneur Naveen Jain. Although Kim has received a wealth of new information from his paid mentors, he notes that there are free learning resources such as YouTube videos. Additionally, experts say that you don't have to pay someone to receive their mentorship and the benefits that come with it. Jason and Jodi Womack, executive coaches and co-authors of the book, "Get Momentum," define a mentor as someone who has the experience that you are looking to gain and who is willing to teach you what they know. This can be in person or through the work they have produced. Your mentor doesn't need to be Richard Branson or Warren Buffett and can be a person in your day-to-day life, such as a boss, colleague, teacher or even someone you don't know but who you admire. The coaches recommend that you ask yourself two simple questions when seeking a mentor: "What do I want to be known for?" and "Who do I know that has something to teach me about that?" CNBC contributor Suzy Welch also knocks the idea that your mentor has to sit at the highest echelon of their industry. "A mentor doesn't have to be Yoda," she tells CNBC Make It. "They just have to do something you want to learn." To build a solid and productive relationship with a mentor, Welch suggests that you start by focusing on the skills you value. If you have a co-worker who is great at giving presentations, connect with them to see what tips the person can share. Or, if a colleague is great at dealing with criticism, reach out to them and see if they can show you how to do the same. Whether you decide to pay for mentorship or seek out free guidance, one thing experts can agree on is that mentorship is extremely beneficial for both the mentor and the mentee. Plus, it's not just people looking to advance professionally who seek mentorship. Microsoft co-founder Bill Gates refers to billionaire Warren Buffett as his mentor on investments and Apple founder Steve Jobs took Facebook's Mark Zuckerberg under his wing during the early years of his company. Kim also sought out mentors after he became a millionaire. He notes that although he became successful at a young age, it wasn't intelligence that got him there but rather listening to advice from others, either in person or through books and online resources. "You don't have to reinvent the wheel," he says. "[If] somebody is already doing it so well you just have to do what they're doing."